Saint James, Synthia (b. 1949). 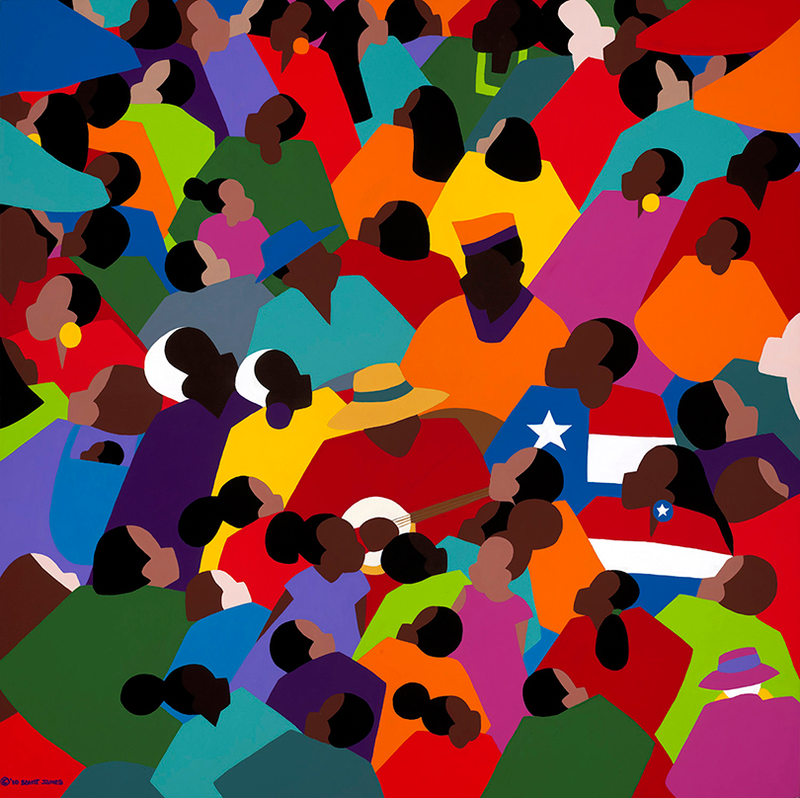 Juneteenth. Acrylic on Canvas. 24 x 24 x 3 inches.